We predict what Nintendo has planned for its online store. Nintendo's 3DS is a great little system, but it needs more games. The retail calendar is surprisingly bare, with Dead or Alive Dimensions and The Legend of Zelda: Ocarina of Time 3D slated to arrive in May and June, respectively. Thankfully, there's the eShop, the 3DS virtual store that'll let consumers purchase downloadable games for the shiny new handheld. It was noticeably absent when the portable launched May 27, but with rumors pointing to a late May release, it's only a matter of time. On that note, we decided to hold a mock launch to predict the games we'll see when the eShop goes live. Now when it comes to asking the question, "what games should be available", the simple response is "everything", but launches don't work that way. Publishers are usually selective in what they bring to the table, so one game doesn't steal the proverbial thunder. That said, we created a balanced lineup. Let us know if you agree or disagree in the comments below. All DSiWare games available to purchase: This one's obvious. Nintendo has a library with hundreds of digital games, and it's in the company's best interest to let 3DS owners have immediate access to it, allowing them to download titles like Shantae: Risky's Revenge, Dr. Mario Express and Mario vs. Donkey Kong: Minis March Again! ; expect some public relations spin, as Nintendo claims the eShop has hundreds of titles available day one. Of course, if you already own these games, there will be the option to transfer them from DS to 3DS. Mega Man Legends: Prototype Version is a promising launch day title. 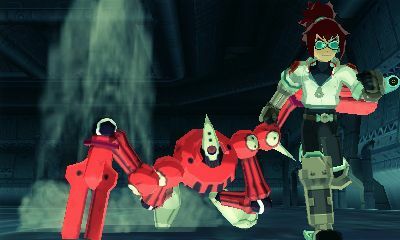 3DSi Ware (Providing such a category exists): Nintendo will kick off this 3DS exclusive channel with Capcom's Mega Man Legends 3: Prototype Version, which offers players a glimpse of the upcoming game while giving them access to unfinished levels and debug commands. That said, we could also see simple mini-games (either from Nintendo or third parties) that involve 3D effects, perhaps target shooting or card games. You can't go wrong with a little Mario. 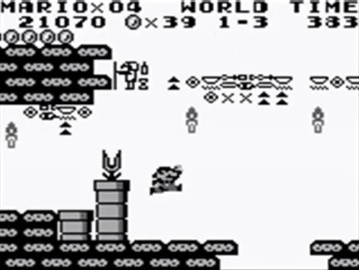 Nintendo will also be on hand with first party offerings from Game Boy and Game Boy Color, available in 3D. Applications: Nintendo released a variety of clocks and other strange things for DS. Expect the same with the eShop, as well as some creative ideas, like a 3D sketchbook and/or special effects App. 3DS retail games: No, you won't be able to download full games like Pilotwings Resort and Super Street Fighter IV 3D Edition, but Nintendo will let you view 3D trailers/game footage and rate games you've already purchased. With this in mind, we'll cross our fingers for demos.